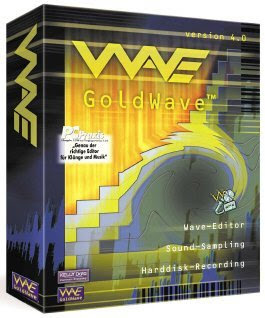 GoldWave is the most reliable and complete audio editor available in its price range. It includes all of the common audio editing commands and effects, plus powerful built-in tools such as a batch processor/converter, a file merger, a CD reader, and audio restoration filters that are expensive add-ons in other programs. Comprehensive, well designed, and easy & fun to use, GoldWave offers the best value in audio editing software. With over 15 years of development and widespread usage, it has an excellent and unmatched history. A fast and easy-to-use AVI video converter, it can help you convert AVI to all popular video formats, such as MPEG, VOB, H.264, AVI, WMV, MP4, MOV, 3GP, 3G2, ASF, FLV and so on. It also supports converting any video to AVI format. Easy to use. OJOsoft AVI Converter Supports all the key formats! Call your friendsâ€ mobile or landline phones. Itâ€ s affordable both within the US and internationally. And calling someoneâ€ s PC is always free. Show and tell: Grab a webcam and start a video conversation within minutes. Set up a Sharing Folder with a friend. Drop in photos and other stuff, as many as your computer can handle. See it even when one of you is offline. Tap into the worldâ€ s largest IM network, with hundreds of millions of customers worldwide. The worldâ€ s largest IM network just got biggerâ€“and better! Now you can talk to your friends who use Yahoo! Messenger with Voice. See when theyâ€ re online and communicate with them directly from Windows Live Messenger . Verifies online your ISP’s MTU and your DSL unique optimize value. DSL Speed is a prefessional tool that will online smart optimize your DSL (e.g., ADSL, G.lite, IDSL, SDSL) connection speed to MAX. DSL Speed is for DSL PPPOE only prefessional tool and does not support the PPPOA NOR modem dialup networking.DSL Speed is a program that helps you optimize your DSL connection speed. * Online verify your ISP’s MTU and your DSL (ADSL) unique optimize value. Did you know, that anyone (your Boss, Family, Friends, "Anyone") who uses your computer can find out what you have been using it for? Did you know that every time you use the Internet your Internet activities are being recorded? That every picture you've seen while you are on-line is copied to your hard drive? Advanced Tracks Eraser is a complete solution for cleaning internet activities and traces of your PC! Advanced Tracks Eraser cleans up your browser's cache, cookies, history, recent document list and much more automatically! SWiSH Max comes bundled with over 230 built-in effects that make animations with text, images and graphics simple and quick to produce. With so many effects the only problem is deciding which one to use! SWiSH Max not only comes with 230 built-in effects but also gives you the ability to author and distribute your own effects. Your authored effects can include advanced maths scripts and customisable controls. Once you're done you can publish your effects for the world to enjoy. No coding required! All interactivity can be added through a simple menu interface. Advanced scripting capabilities through SWiSHscript. Script editor which allows advanced user to enter scripts directly. Debugger that simplifies finding and fixing errors in your scripts. Advanced set of drawing tools provided including: Line, Pencil, Bezier, Text, Ellipse/Circle, Rectangle/Square and AutoShapes. Complex Shape editing options making it easy to modify your shapes. AutoShapes that make adding and editing complex shapes like 3D cubes a breeze. This readout is presented in both numerical and graphical format, in real time. DU Meter includes extensive logging facility, flexible events system, and more. It supports Windows 95/98/NT4/2000 and XP! DU Meter works with virtually all types of network connections: phone modems, DSL, cable modem, LAN, satellite, and more. many reasons why you might want to monitor your network activity. Watching your data transfer rates can be very enlightening as you download a web page, email, or a software application. · Numerous issues in DU Meter service fixed, resulting in more robust startup and automatic restart of the service if needed. · Failure to start in DU Meter monitor has been resolved. 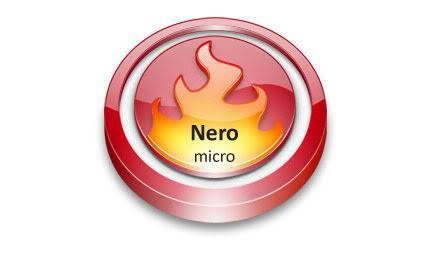 · Several issues related to backup and restore functions are corrected. · Stopwatch overflow on large data transfers corrected. · Several instances of DU Meter on taskbar - fixed. · Export of reports was missing last day or hour in some cases - fixed. · Numerous speed optimizations for lower CPU consumption. · Interference with DU Meter startup options if running on Vista with DU Meter sidebar enabled is fixed. · Incorrect resizing of very small or very large DU Meter windows is fixed. · Modified service dependency for faster startup. · Dial-Up/VPN connection time on Vista was incorrect - fixed. 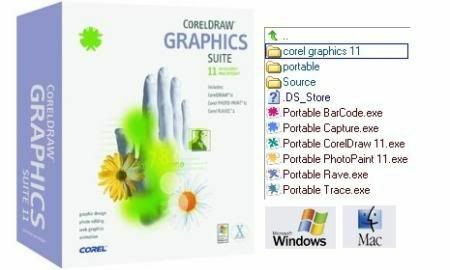 · Compatibility updates for Windows Vista SP1 and Windows XP SP3. Driver Genius is a professional tool for backing up or restoring the drivers, it can fast detect all the devices in computer and backup the drivers, and it can make the drivers into the zip-compressed format or self-extractor format files. When you reinstall the operation system, you can use restore-drivers function to restore all the drivers. You need only click the mouse, and then the drivers will be installed into your system automatically. Certainly, you can also make the drivers into an auto-install package, in this way, the drivers installation is as simple as the other software installation. It has the simple wizard mode and even beginner can also use it easily.Driver Genius Professional is a software that backup and restore drivers. · Quickly backup device drivers for your computer. · Backup your drivers to a ZIP or EXE self-extracting file. · Clone your drivers to an auto-setup package. · Wizard mode allow you to backup or restore your drivers step by step. · Get detailed information about your installed devices. · More than 20,000 types of hardware information and 1,000 device drivers in the database. · Easy to get the most recent drivers for your computer. · Upgrade your drivers by one click. · Liveupdate your drivers information database online. · Scan drivers for viruses, to ensure backup safely. · There are four download addresses you can choose for each driver. · Activate the hidden options in NVIDIA Display Driver settings. · Get more details of your Operating System, BIOS, Processor, Memory, Floppy Drive, HardDisk, CD/DVD Rom, Video card, Sound card, Network card, Modem, Keyboard, Mouse, Printer. Video conversion package which can convert DVD and video between all popular video and audio formats.Daniusoft Video Converter Suite is an integrated video converter software which can easily and quickly convert any DVD and video between all popular video and audio formats such as convert AVI to MPEG, WMV to AVI, WMV to MPEG, WMV to AVI, VOB to AVI, WMA to MP3, etc in a high quality and super fast conversion speed. Daniusoft Video Converter Suite is composed of DVD Ripper and Video Converter. Once you start using this package, youwill be able to enjoy your DVDs and videos anytime and any place you may go! This multifunctional Video Converter Suite software provides you change custom file settings as you like, convert videos any segment, rip DVD and video by custom file size, select target subtitle and audio track and trim or crop video with only a few clicks. DVD Ripping Software - Convert DVD to MP4, DVD to AVI, DVD to DivX, DVD to AVI, DVD to MPEG, DVD to XviD and Rip DVD to MP3, WAV, WMA, AAC, AC3, etc. Video Converter Software - Convert video formats between all popular video formats: AVI, MP4, MPEG, WMV, XviD, H.264, DAT, MOV, ASF, FLV and convert any videos files to MP3, WAV, WMA, AAC, AC3. • Capture your favorite pictures from the DVD or other video and save it to your PC. Introducing Opera Portable, the Opera browser that has been repacked so that you can run Opera by just clicking, without the need of installation or administrator rights. With download size of less than 5 MB, you get the same features of Opera compared to what you get in the installation version. WinSnap can easily take screenshots of non-rectangular and transparent windows and add real smoothing drop shadow effects on-the-fly. WinSnap v2.1 was especially designed for capturing the new Windows Vista UI. It can handle all possible issues with translucent window frames and rounded corners. WinSnap can draw a drop shadow effect that is very similar to the Aero theme. Now shadows are semi-transparent! This function allows very easy image compositing, and is particularly useful when placing screenshots on multi-color backgrounds. There is one PNG image with alpha transparency placed on 2 different backgrounds. WinSnap v2.1 allows you to simultaneously select and capture multiple objects (e.g. windows, dialogs, buttons and controls). A few windows can be placed on the screen and easily combined into one screenshot image. Hold CTRL or SHIFT to select multiple windows or objects. Also you can select multiple screen regions in the same way. You can configure WinSnap to work with any custom visual styles including modern WindowBlinds 6 skins with rounded corners and per-pixel transparency (see forum for more details). Run AdvConfig.exe to open the settings dialog. WinSnap enhances the power of your PrintScreen key. It makes your screenshots look more professional and your work even easier. WinSnap can enumerate and capture all visible windows in the foreground application and combine them into one screenshot. All void space between separate windows can be automatically filled with the background of your choice. This is very useful when you want to visualize hierarchical settings in a tutorial. Using WinSnap, you can define just a portion of the screen to capture. This is a good way to show a particular part of a website you have found on the Internet. You can quickly add your signature to the captured snapshots, so everyone will know that it is your image. With WinSnap, you can easily create small thumbnails and automatically resize images to fit the fixed size of your pages. WinSnap can easily capture complex application pulldown menus in order to show a user which menu item to select when performing certain actions. WinSnap can also be used to add certain effects to web graphics. This is another small way to improve your pictures and photos. The new version 2.0 contains a number of innovative features that enable far superior screenshots and even easier working methods. WinSnap v2.0 was especially designed for capturing the new Windows Vista UI. It can handle all possible issues with translucent window frames and rounded corners. WinSnap can draw a drop shadow effect that is very similar to the Aero theme. WinSnap v2.0 allows you to simultaneously select and capture multiple objects (e.g. windows, dialogs, buttons and controls). A few windows can be placed on the screen and easily combined into one screenshot image. You can quickly open screenshots in your favorite image editor using the Tools menu or shortcut keys. This feature also allows you to automatically save images into different directories and in different formats. For Windows 95/98/ME/NT/2000/2003/XP/Vista. Includes updates published 18 June 2008. Spybot - Search & Destroy can detect and remove spyware of different kinds from your computer. Spyware is a relatively new kind of threat that common anti-virus applications do not yet cover. If you see new toolbars in your Internet Explorer that you didn't intentionally install, if your browser crashes, or if you browser start page has changed without your knowing, you most probably have spyware. But even if you don't see anything, you may be infected, because more and more spyware is emerging that is silently tracking your surfing behaviour to create a marketing profile of you that will be sold to advertisement companies. Spybot-S&D is free, so there's no harm in trying to see if something snooped into your computer, too. Total: 638393 fingerprints in 164156 rules for 4033 products. Extract the archive to your portable drive and run SDMain. DVD Decrypter is a highly versatile VOB-ripping utility. The software takes advantage of both the DeCSS Plus and VobDec algorithms for looking up and decrypting the CSS encryption. DVD Decrypter is also multi-angle aware, and capable of removing the Macrovision scrambling key, as well as the region code during the ripping process. Fun Photo Creator - ZeallSoft FunPhotor is fun and easy to use photo blending software, a fun-filled Windows application that lets you blend your family portraits with well known artwork to create comical images. With a few short steps, you can add your face to the carved granite US Presidents on Mount Rushmore, put your portrait on a $100 bill, or create all sorts of gag gifts for your friends. Choose from more than 100 high quality templates that include the Mona Lisa, a bodybuilder, or the US President speaking from his official podium. You can also build your own custom templates. >> The registered user can get a lot of Templates. >> Supports Video Cameras to take your picture. >> Only 4 steps to create fun photo. Very Easy and fast! >> Create & share your own surprise templates. >> Over 200 cool templates to make editing easier. >> Text editing lets you add colorful taglines and descriptions. >> Support E-mail: you can easily send your final images to friends! >> Print your masterpiece on a single sheet of paper. Xara3D is used both by professional web graphic designers and home computer users to make animated gifs, buttons, banner graphics and titles for presentations and web pages. · Text headings can use any TrueType font. · Full anti-aliasing for the best possible on-screen display quality. · Real-time solid shading with optional error-diffusion dithering for top quality results. · Great for creating animated buttons. · Complete control over the image size, including a handy Fit To Width feature (with pixel size shown on screen). 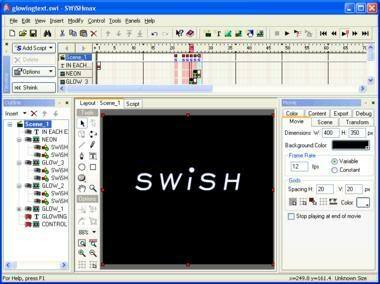 SWiSH Max2 is a powerful Flash authoring application. Flash is a multimedia format for playing animation, video and audio on the web, mobile devices and more. SWiSH Max2 enables you to create Flash movies in a simple timeline based authoring environment, dragging and dropping video, audio, effects, images and more to create stunning multimedia movies. drawing tools and internal player. create fully interactive Flash presentations. Break images and graphics into pieces and apply effects to the pieces. * Fixed: Outline panel scrolls when making Shift+click selection. * Fixed: width and height parameters of Player with controls componentn no longer work. * Fixed: Add script adds at wrong position. * Fixed: Scroll bars fail to stop dragging in swf9 during release outside. * Fixed: Various swis broken by build 2008.02.22. * Fixed: Script: Math.cosdeg(45) returns undefined. * Fixed: External FLV with relavite path does not play in the internal player under Vista. * Fixed: Shift - Drag does not work correctly with component handles. * Fixed: Component: Scrollbar, strange slider button after resize. Missing SetStart() method. Free screencast recorder for Windows. Record your screen and voice in a flash video (FLV format) and share it instantly at uTIPu.com or via e-mail. It's easy to use and has many features: fixed and auto-panned zooming, real-time encoding, voice-over and annotation. Optimize video quality and size for embedding into blog, vlog and wiki pages. It can even record activities on a remote computer via the built-in VNC support. Version 2.0.0.2968 has new features: record to AVI format, upload to YouTube, and multi-language support. MP3 To Ringtone Gold is an ringtone converter. It can be used to convert the popular compressed audio formats (.mp3) to ringtone format(.mmf, .amr, .mp3,.wav, .mid) and send them to your cell phone. It can be used to rip multiple audio CDs at once. Now you can use your preferate song as a ringtone. MP3 To Ringtone Gold can also be used as an mp3 resizer for your mp3 mobile phone.You can save any part of your favorite mp3s to ringtone format.